It's every inch a beauty, especially when kissed by the sun. 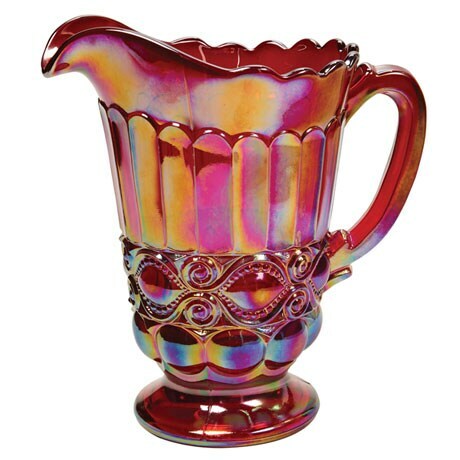 Ruby-red, flared and faceted pitcher features the popular "eye winker" pattern and the iridescence of carnival glass. Made in the USA by a family-owned company. The vertical seams tell you it's real pressed glass. 7" diameter, 8" high. Holds 24 oz. Hand wash.